Miss Mo’s Home Furnishings & Clay’s Upholstery opened its doors in Downtown East Point in 2016. 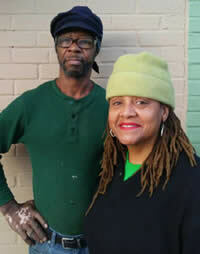 The owners, Miss Mo and Clay, chose the location because they love the City of East Point and they also live here. They sell home furnishings, including antiques, glassware, collectible items, small display items, framed prints, art, decorating pieces, rugs, lighting, couches, chairs, bed frames, tables, serving pieces, and more. Additionally, they upholster, paint and refinish furniture. 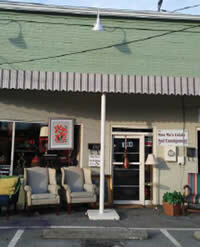 They also do repairs to furnishings and can customize any home furnishings to meet their client’s needs. They plan on expanding their offerings to include vintage jewelry and clothing soon. Give them a call for unique or customized items for your home! 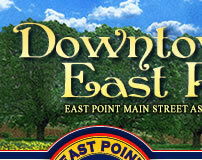 We live here and we love East Point! Come visit us for all your home furnishing needs, including any repair, refinish or upholstery needs! Community Offer: Tuesdays—Senior Day (55+) & Thursday EP DAY: Receive 15% off home furnishings!